In line with the NHS Five Year Forward View, we recognise the need for a skilled primary care workforce to meet the needs of a growing and ageing population. This is course will equip you, as a practising nurse, to work within a variety of primary care settings. 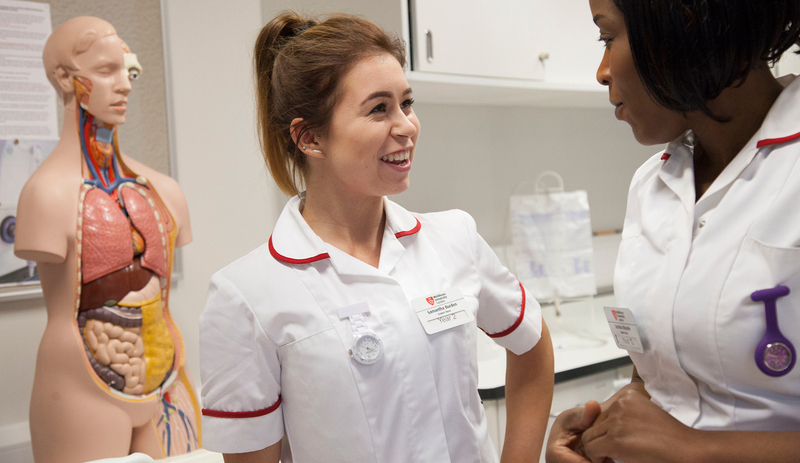 Why study the PGDip Primary Care Nursing at Middlesex University? This programme has been specially designed for nurses with an interest in practice nursing, the prison sector, community nursing, sexual health or walk-in centres, and will offer a recognised qualification for those already working within primary care. The modules will enhance your critical thinking and advanced autonomous practice as well as supporting your professional development as a newly qualified and experienced nurse. can now diagnose, treat, prescribe and follow up with their patients independently. What will you study on the PGDip Primary Care Nursing? You will gain an advanced level of nursing skills such as examination and leadership skills as well as enhanced legal and professional awareness of nursing autonomously. This module will enable you to develop the skills of physical assessment and to apply them in your clinical context. This module will develop your understanding of the legal, professional and ethical principles of practising autonomously. This module will allow you to develop the skills to work more effectively as a leader or manager within a public or private organisation. This module is designed for those interested and/or involved in developing quality services and in making service improvements. This module will allow you, as a practising nurse, to assess patients and make a prescribing decision based on the nurses formulary. This module will develop your skills to be able to work sensitively with patients and understand the issues of management of contraception and sexually transmitted conditions. This module is designed to develop your advanced practitioner skills in research and inquiry methodologies and has the potential to improve your own practice and that of others. This module will allow nurses to independently assess patients and make a prescribing decision from the British National Formulary (BNF). How is the PGDip Primary Care Nursing taught? You will be taught via a blended approach of lectures, seminars, workshops, self-directed and practice-based learning and on-line theory. The programme uses a diverse range of assessment methods, both academic and practice-based. Academic assessments will include exams, written work and presentations. Some modules require access to patients or to a mentor to support the assessment of clinical practice. UK/EU registered nurses are eligible to apply for this course. How can the PGDip Primary Care Nursing support your career? Current programme students have selected to study for this award as they are keen to work within GP practice settings, prisons and community nursing teams. Gill is a qualified and experienced nurse practitioner in urgent care. She was the primary care development lead for Camden CCG, a nurse specialist in community palliative care and a community practitioner nurse prescriber. Alison has many years’ experience of supporting postgraduate students. She is a district nurse and a community practitioner nurse prescriber as well as holding a research practitioner role within the bladder and bowel service at UCL.